The many faces of @mamagottarun. Who wants a chance to win free stuff? Ok, hold on, read this first and we'll get back to that. Give me three minutes of your time (I timed it, that's how long it takes to read this, promise!). About a year ago a friend of mine, Lisa, was visiting me with her family. I noticed that her skin looked great. Maybe it was her make-up or her moisturizer, I didn't know. We started talking and she told me about this new product she had been using called Maskcara. Lisa had always loved skin care products and makeup. She had been a Bare Minerals fan prior but found that as her life got busy and she aged, she needed an easier but just as effective routine. Cost was also important, as she had been shelling out lots of it to Roden and Fields too. She just wasn't happy with either of those products any longer. Lisa admitted to being really impressed with this new particular line she had tried called Maskcara. She was even considering becoming a Maskcara Artist. I told her that she should go for it (and even she will tell you that I was her very first customer!) and guess, what she did! Fastforward a year later and my friend, Lisa Ringus, has not only become an Artist, but she has become a successful Artist for Maskcara, a leading Artist in Iowa (last month she ranked in the top 15% of all Maskcara Artists!). I wouldn't suggest her to you if I didn't think she was great. Here is Lisa in a recent post from her FB page. Honestly, all you have to do is look at her posts (ask to join her Ringus Maskcara Beauty Babes Facebook page or follow her on Instagram and take a look around) and you will be next in line- just like I was. I have been using her Maskcara skin care and make-up products ever since and LOVE them. Over the next few weeks I will be reviewing the various products, such as Stay Spray, make-up remover wipes, MILK Moisturizer, and the make-up line to give you my honest reviews. If you aren't sure, please ask me questions by commenting on any of my blog posts, or better yet by joining my Facebook Party. Since I started wearing the products, I have gotten so many complements on my skin and make-up. I just really want to share these products with you. They have made a tiny little part of my life different, better, easier. If you follow me on Twitter (@mamagottarun) or Facebook privately you know I take a TON of selfies when I run. I don't always have make-up on when I exercise, that would be just crazy. 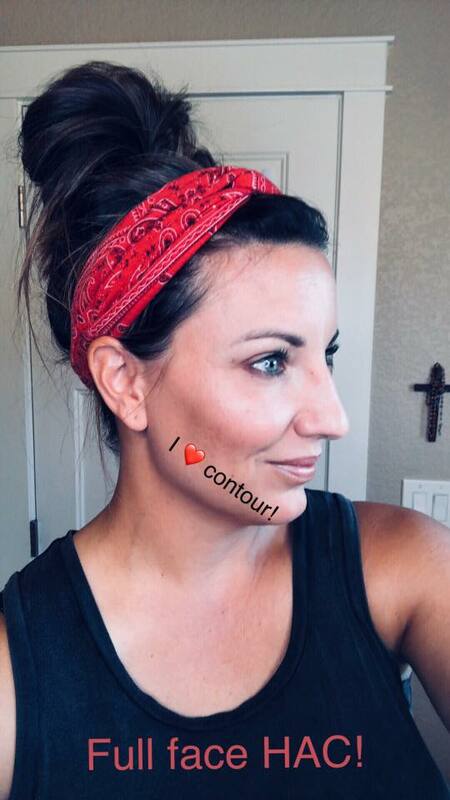 But when I do, I am always SHOCKED how (usually after a long day of work and life too) it is STILL on and looking natural after running in the hot Kansas sun (secret- it's the SPF Stay spray folks!). I am not big on investing a ton of money or time into a skin care and application routine, so Maskcara was perfect for me. VERY affordable, easy and quick to apply, and best yet, IT WORKS! I love the selfies from the pictures above because these were just regular days when I had applied my make-up and had been using a regular skin care routine at night. I wasn't posing or trying to make the products look great for you. 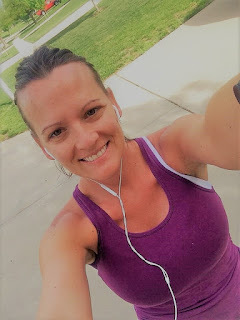 Some of these pictures are after a run, some are after hiking three hours on a family vacation, some are with the tanned skin of summer, some of these pictures are from the pales of winter. But ALL of these pictures should really prove just how great the Maskcara products are. So at the top of my blog page you see a giveaway (it ends August 6th). If you do nothing else, take the time to enter for a chance to win a few products. Better yet, join my Facebook party and try something! As I said, I will be reviewing the products I have used over the next few weeks so you can see what I have used, what I like, what I love, and what I haven't reordered (I told you I would be honest!). If you aren't sure what products to start with, reach out to me or Lisa (yes Lisa will be there to answer your questions too!). Now if you haven't already, enter the giveaway and come back later this week and next for my honest reviews of the products I have tried. And as alwasy, happy running!